Everything Beauty and Beyond! : Restoration Hardware Slippers! 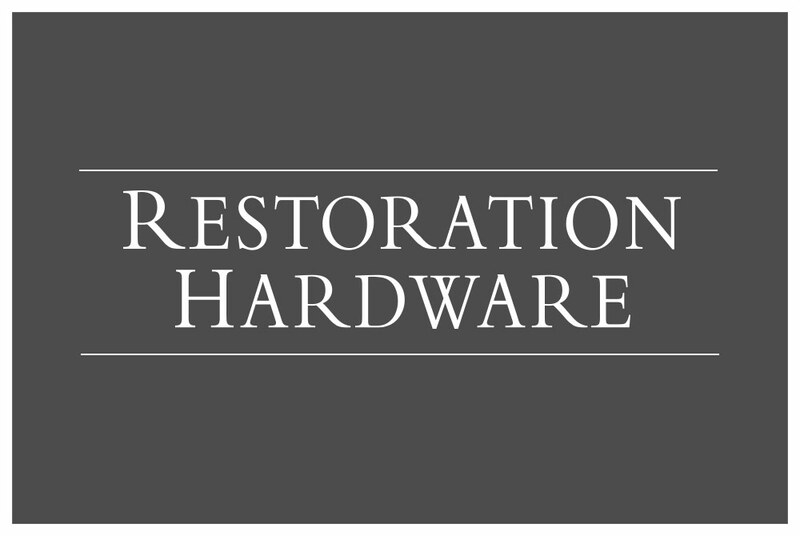 Restoration Hardware has got to be one of the most amazing stores I have ever seen/shopped at! Truly it is! 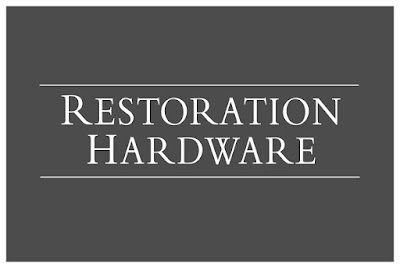 I have heard about this store before, but thought they only restored furniture. However, upon further inspection, I noticed they sell furniture, household items, bathroom and kitchen fixtures, bedroom and living room items, lighting and so much more! They also sell clothing items which is what totally grabbed my attention! I for one love slippers, and finding a good pair is hard to find. However once I do, I tend to buy them over and over again till it goes out of style or out of commission. Whichever comes first. 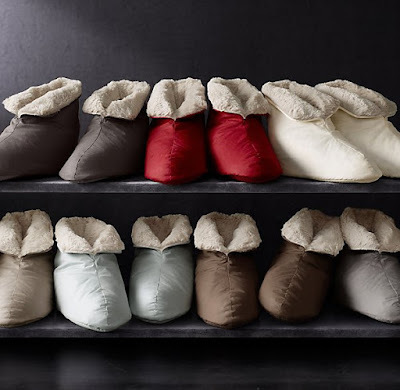 One day while watching my friend Kimberly Mofitt's youtube channel, she mentioned the Ultimate Luxury Plush Foot Duvet slippers she bought from RH and described them as the most comfortable slippers ever! So I totally of course had to try them! These slippers literally feel like a duvet for your feet. They are the most soft, comfortable and no weight slippers I have ever felt. They come in about seven different colors in three different shoe sizes for men and women. The booties are down-filled making them seem like you are walking on air. They have a non-slip sole which is great for going down stairs or walking on wood or marble floors and a plushy surface in order to give you a nice comfortable support to your feet. What I love most about these slippers is that your feet don't sweat. Since they are down-filled and it has a wide mouth at top around your ankles, you get a great flow of air that doesn't keep moisture trapped in all day. This booties were easy to wash, dried easily and kept their shape. My kids have dropped food, water, juice on them by accident as they walk by me with cups/plates in hand into the family room (which is a big no) when watching netflix. I was scared that they might stain, but after one wash they came back out, brand new and clean as a whistle. I have to say these are the best booties I have ever owned and literally feels like I'm walking on air all day long! I bought mine in the color fog because that color truly just called my name! Since I moved into my new house two months ago, it has been in a state of renovation, decoration and so on. I literally have been putting together one room at a time which is still a work in progress. One room, my family room is for the family (meaning the kids as well) to hang out in and that leaves the formal living room alone to be used for parties, friends and other family members when they come over. I recently bought three faux fur throws for the family room because of how much I love the look and feel of that material. They are so luxurious, soft and fancy. All my kids were originally fighting over one blanket so I have to get two more to even out the score. Nonetheless, while searching RH for faux fur throws for my bedroom, I came across their Luxe Faux Fur Booties and totally had to buy them! I bought a pair of these booties in the color fog as well because I just love the way dark gray looks on me. These booties can also be ordered in three different sizes and six different colors. They are lined with faux fur from cuff to toe and have a non-skid sole and good strong platform to support your foot as you walk. These booties are also machine washable, however must be air-dried. So I would recommend you washing them at night, and letting them dry over night so you can potentially use them the next day. These booties literally feel like a minx cat is in your shoe. They are totally soft, very warm and just feel like silk on your feet. I have worked with them around the house all day, and they totally feel comfortable and support my foot. However, they can get too warm at times unlike my duvet ones that I never felt overheated in. Nonetheless in the mornings when the house floors are a bit cold, these booties warm me up in no time! My five year old loves them so much, that he has asked for me to buy him a pair due to how fabulous they feel! 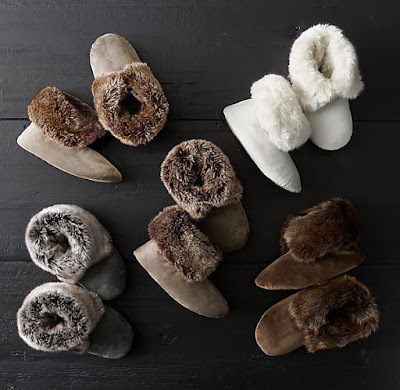 When drying the luxe faux fur and the duvet booties, try drying them on broom sticks in order to allow air inside the booties to avoid a moist atmosphere. I did this with my duvet booties and by the next day they were dry, clean and no moisture build-up inside. RH is currently having a massive blow out sale with some items up to 75% off! Both these booties are currently on sale for more then half the price and they are running out. So get them while you still can!! Have you ever tried anything for RH? Let me know in the comments below! UPDATE: Since the writing and posting of this blog, the Luxe Faux Fur Booties have sold out! !